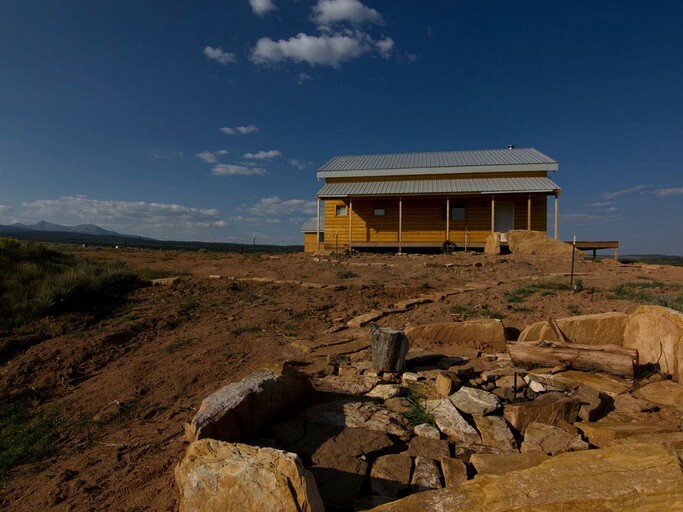 This secluded mountain cabin is situated on 10 acres of private land and is the perfect base to explore Colorado and Moab. 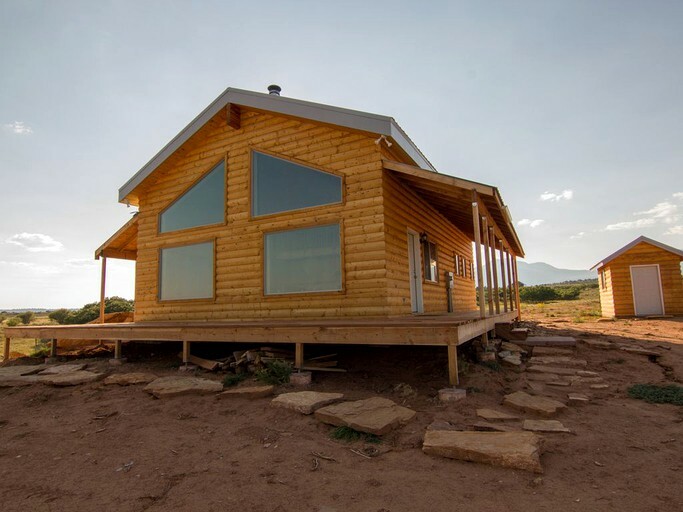 It can sleep up to eight guests and has one bedroom, a sleeping loft, and one full bathroom. 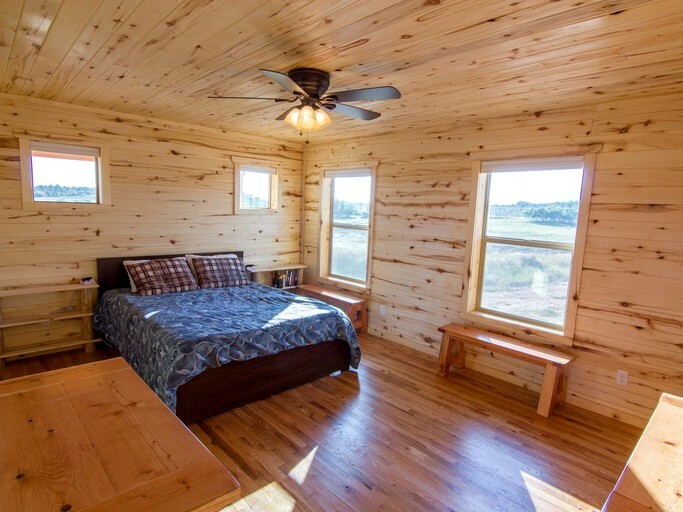 The master bedroom has a queen-size bed and the sleeping loft has two twin beds. 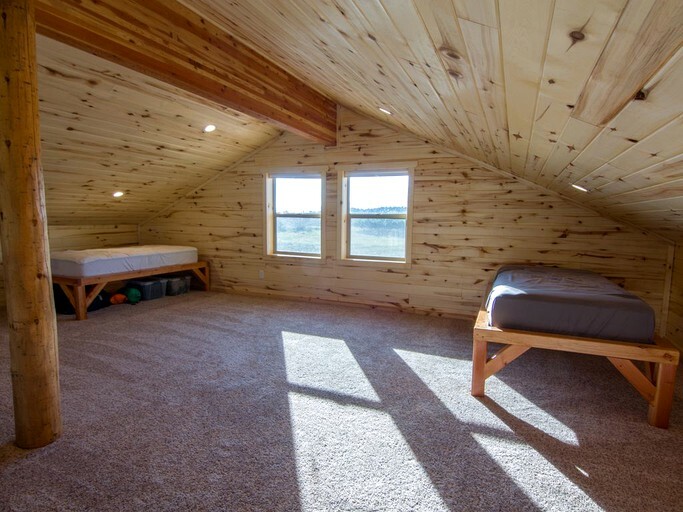 There are also two twin blow up mattresses to accommodate additional guests. In the bathroom, guests will find a toilet, a sink, and a shower. Linens and towels are provided. 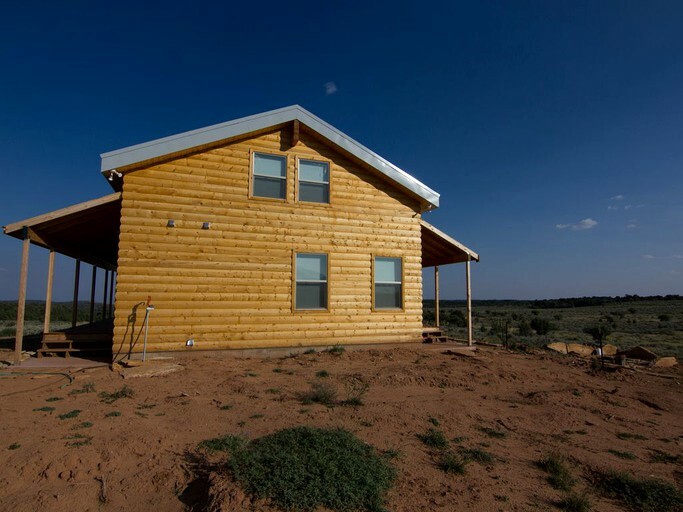 This cabin is the ultimate in simple living and is perfect for those wanting to get away from the noise of the city and modern society. 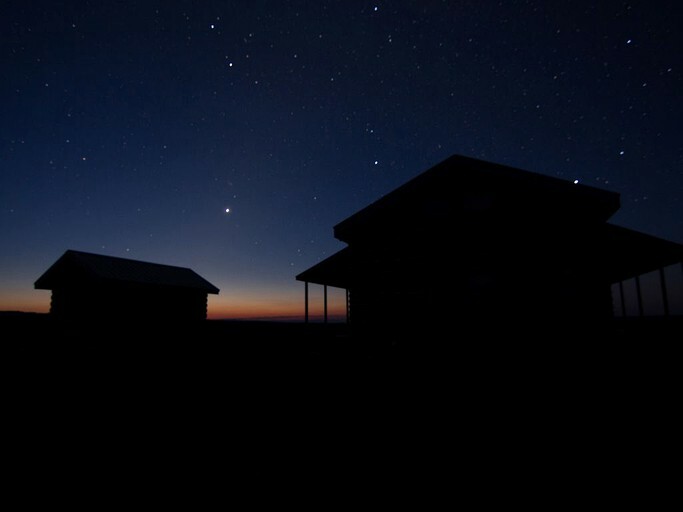 There is no Wi-Fi or TV, and cell phone service is spotty. So, guests can really disconnect and reconnect with nature and what’s truly important. 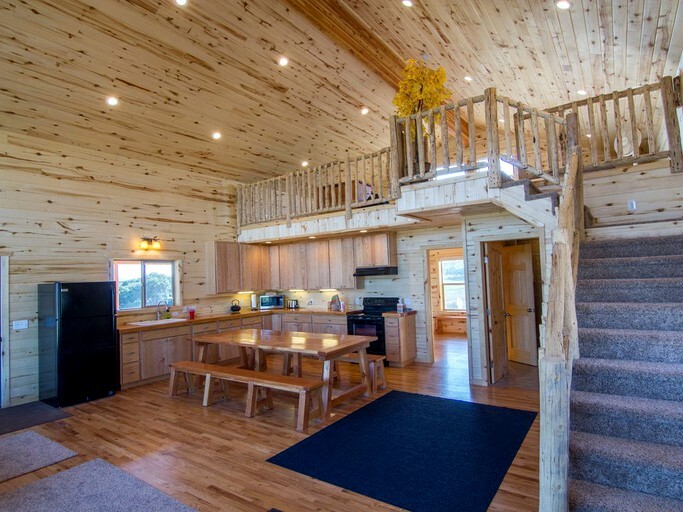 The cabin has an open concept design and the large windows in the living room let in tons of natural light. Guests can appreciate the stunning views from the living room on the comfortable couches that can provide additional sleeping space. The old-fashioned wood-burning stove is a focal point and keeps the cabin cozy in the colder months. The fully-equipped kitchen comes with a stove, an oven, a refrigerator, a toaster, a microwave, some pantry items, and all the dishes and cookware needed to prepare stress-free meals at home. 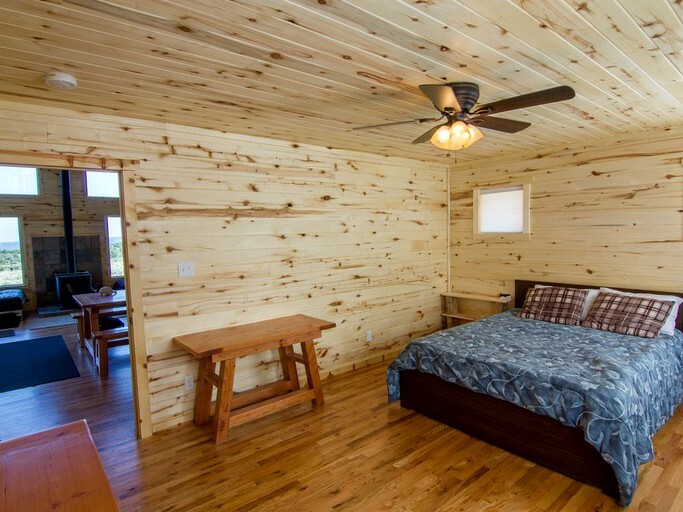 This back to basics cabin is well stocked with everything guests need and nothing they don’t. 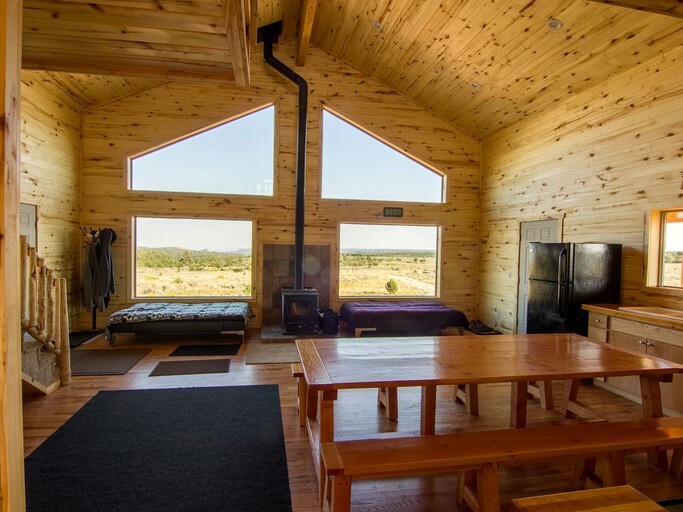 There is no internet, no TV, and cell service is spotty meaning that guests can truly disconnect, get away from it all, and reconnect with nature and loved ones. 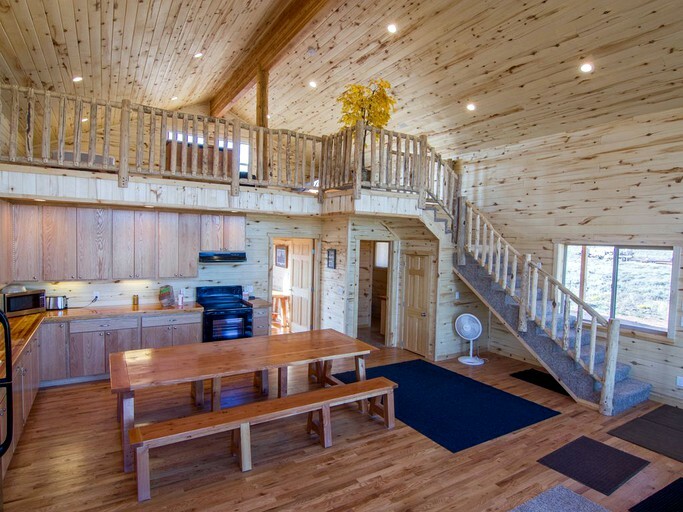 Visitors to this cabin will want to make the most of their time in the outdoors and will enjoy the cabin’s two decks, barbecue, and firepit. 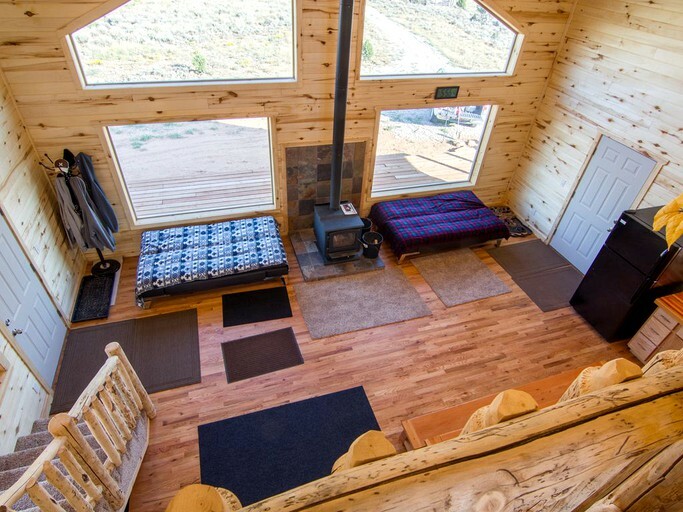 Inside, there is a wood-burning stove to keep the cabin warm and cozy in the winter. Plenty of firewood is provided for the duration of the stay. The cabin is also stocked with books, games, and pantry items. Ample parking is available on site. 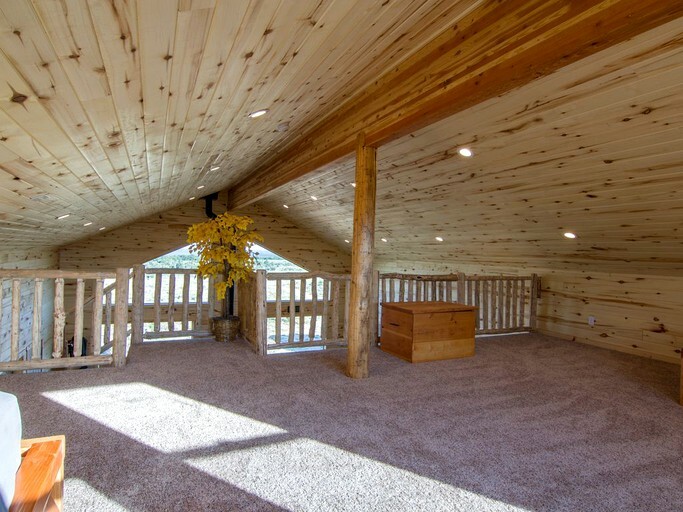 This secluded cabin is located on the southeast base of Mt. 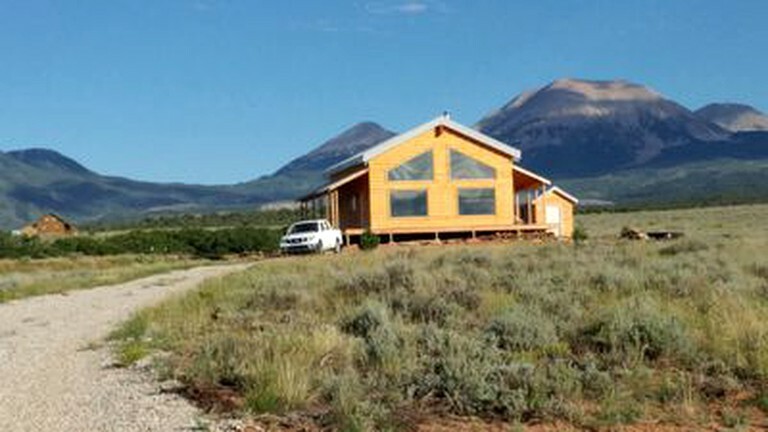 Peale in La Sal, Utah. It is 40 miles from Moab and just 15 miles from Colorado, making it the perfect base from which to explore the parks and forests. 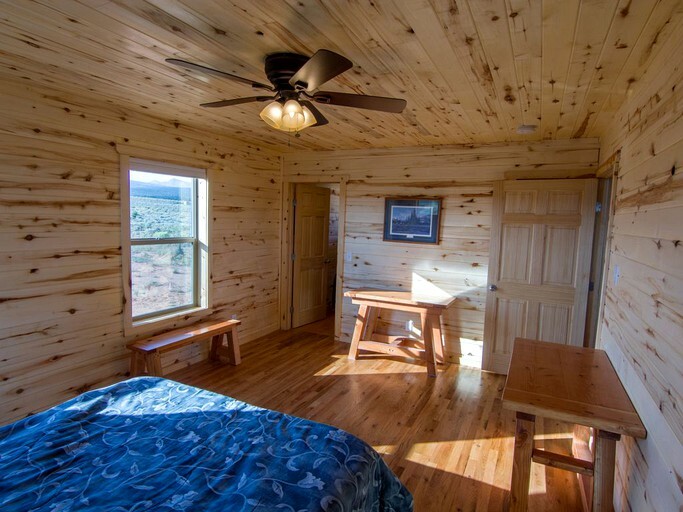 Specifically, it is approximately 30-45 minutes to Arches National Park and Canyonlands National Park. 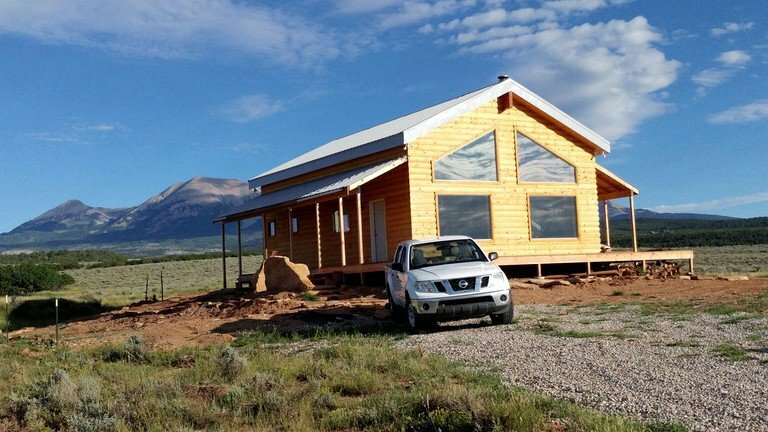 The drive to Moab is easy and scenic, and guests will enjoy being able to retreat back to their quiet cabin at night away from the crowds. 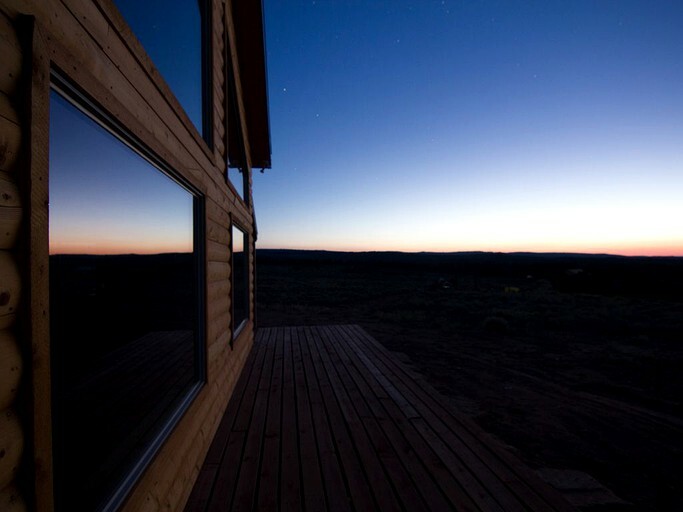 Moab is an ideal destination for adventurers and nature lovers alike. 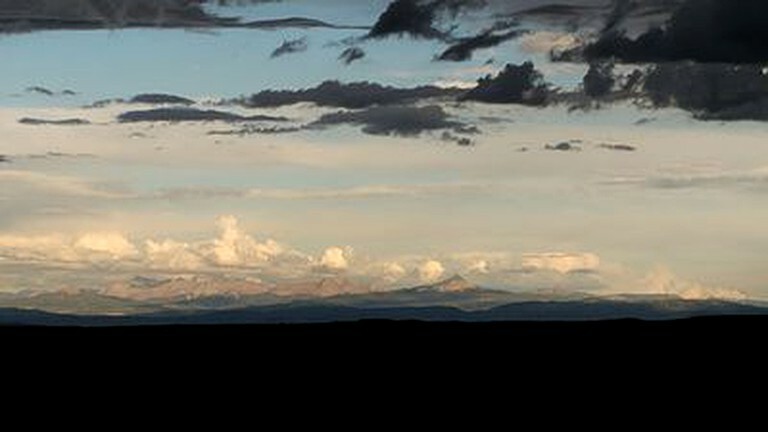 This place is a hiker’s paradise with hundreds of trails and tons of parks to explore such as La Sal Mountain Loop, Castle Valley, Dead Horse Point State Park, and Slick Rock, just to name a few. 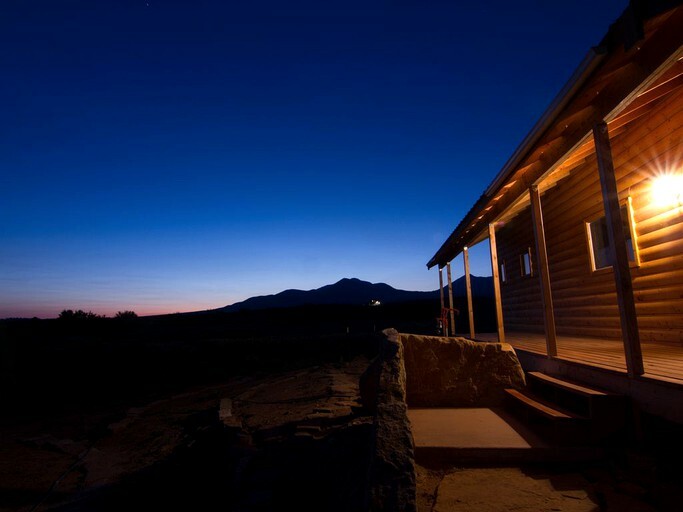 Travelers will want to pack their cameras as Moab has no shortage of stunning lookout points and breathtaking views at Arches National Park and Canyonlands National Park. Both parks offer world class hiking, biking, fishing, and more! Those preferring not to go on foot can take an ATV or a jeep tour or even kayak or canoe through the canyons. Horseback riding, zip-lining, and excellent ranger-led programs are also available in the parks and surrounding areas. Anyone that likes rock climbing and canyoneering knows this area has some of the best in the country! There are so many climbing spots that it would take many years and visits to conquer all of them. Thrill-seekers can also go whitewater rafting on the Colorado River or even go skydiving and appreciate the diversity and beauty of the natural rock formations from above. 4WD is recommended during the winter.